You think there’s a problem in your sewer line. But how can you know what’s going on without digging up your entire yard or pulling up floorboards inside your home? Easy. Call us for a plumbing video camera inspection. We’ll send camera equipment down the pipe to learn what the problem is and to locate it exactly. Our specialized equipment lets us examine every inch of your plumbing system, and we can even save the footage so you can show your insurance company in case of a claim. A plumbing video camera inspection takes all the guesswork out of your repairs. Our tiny closed circuit cameras are attached to the end of our portable inspection device. We manually push the camera into your sewer line to help us pinpoint the exact location of your problem, so we get to work with all the knowledge we need to complete repairs quickly, accurately, and completely. Finding Items Lost Down the Drain. Nothing’s worse than watching your engagement ring go swirling down the drain by mistake. But it’s not hopeless. Video inspection may be able to help you find your missing item. Inspecting Your Septic System. If you have a septic system, you want to make any needed repairs before the system shuts down. Video inspection lets you do that. Prepping for a Remodel. Are you planning on adding another bathroom? Do you know if your existing plumbing can handle the additional flow in both directions? Ask for a plumbing video camera inspection to make sure, it’s one of our areas of rooter service expertise. Inspecting a Potential New Home. Your home inspector’s already doing a great job, but they can’t go down the pipes to see if any major problems await. Have a video inspection done so you can ask the seller to take care of problems before they become yours. Our plumbing video camera inspection will identify just what’s wrong with your pipes. Problems can include root intrusion, corrosion from older pipes, broken pipes, and obstructions which clog drains. Obstructions can be caused by grease buildup and the disposal of foreign material that is not able to easily flow to the sewer or septic tank. Clogs can happen at any time and drains always need to be flowing. Call Flinn’s to scope, inspect, and unclog your drain 24/7. When a drain is clogged, time is of the essence. Using a camera snake to locate, identify, and neutralize the problem is one of our specialities. To fix the problem, we must see the problem. Video sewer pipe inspection can help us fix problems quickly and affordably. 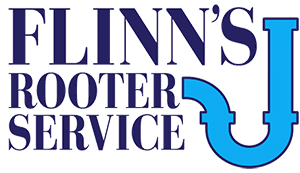 Avoid the headaches that come with major plumbing problems by calling us at Flinn’s Rooter Service to have a plumbing video camera inspection done today.